Motorcycle rear ended? Protect your rights. Contact an experienced motorcycle accident law firm. Imagine this: you’re riding your motorcycle, exploring Florida’s beautiful coastline – or you are on your way to work. Doesn’t matter. You’re behind a few vehicles at a stop light, and then you see it in your mirrors. A car is barreling down on you. Squeezed in by traffic on all sides, there is nowhere for you to go. Nowhere to escape. And then…. A rear-end crash can be devastating for motorcyclists. While rear-end crashes are not as dangerous or deadly for motorists as head-on crashes, they can be catastrophic for those riding motorcycles. Riders are much more exposed than drivers: they don’t have airbags, seat belts, or a structural frame to protect them. Motorcyclists are also much more likely to be ejected from their seat or to fall. When you are hit from behind, there is tremendous force that can propel you upward. And then downward, as you land on the ground. Compounding the issue, a rear-end hit could drive you into the car in front of you, ejecting you from your bike. Both are equally dangerous scenarios, and you must consider the possibility of even more damage if the motorcycle then lands on you. Whether a driver is distracted, intoxicated, traveling too fast, etc., the consequences can be deadly or life-altering if they strike you. What steps can you take to avoid getting your motorcycle rear ended? Never ride while tired, intoxicated, or distracted. Your rights as a motorcyclist are balanced by your responsibilities. Be in the proper mindset and physical condition to ride. Switch lanes if a vehicle is tailgating you. When you decelerate for a traffic light/sign, check your mirrors. It is also a good idea to attract the attention of drivers behind you. You can do this by tapping your brakes to activate the brake lights. Don’t tailgate motorists. Always allow an appropriate following distance. Ride in the center of the lane. When you’re in the center of your lane, you signal to other cars that they need to respect your space. They shouldn’t try to edge around you. Use two rear view mirrors. Two fully functional and properly-placed rear view mirrors allow you to keep an eye on what is happening behind you. Being aware can buy you critical seconds to avoid a collision. Practice defensive driving. When you’re aware of what’s happening behind you, you can react quickly and move safely out of the way if a vehicle is approaching too quickly. Loud pipes are lifesavers. 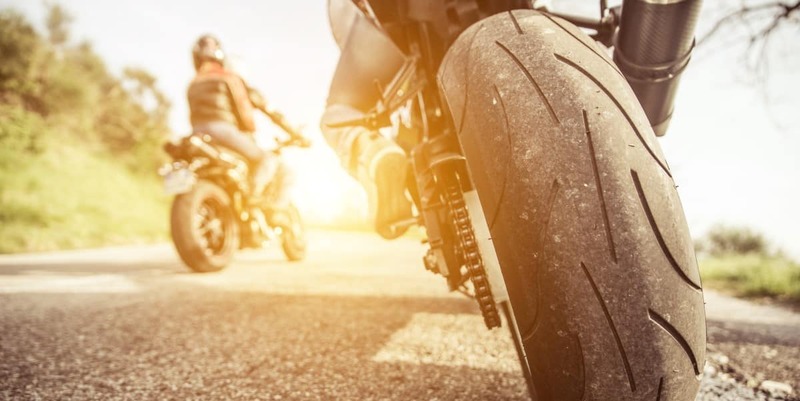 In Florida, law prohibits you from modifying your pipes and producing “excessive or unusual noise.” However, stock pipes that are throaty and robust, so to speak, alert approaching drivers and help keep motorcyclists safer. Don’t wear headphones, earbuds, or earplugs. You need to hear horns, screeching tires, and other indicators that an accident is about to occur. Use brighter brake and tail lights. Make sure you have sufficient lighting (e.g., at least one brake light and one tail light that are visible from at least 500 feet). Stay in gear. If you need to get out of the way of an oncoming vehicle, this help you gain precious seconds. A rear-end motorcycle crash can be catastrophic. If you have been hurt or a family member fatally injured, do not wait: contact LaBovick Law Group immediately. It is advisable to consult with a motorcycle accident law firm – even before talking to insurance companies. Insurance companies are not looking out for your best interests. 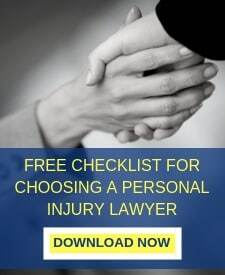 This rests on you – but the team at LaBovick can take on the burden by investigating the accident, developing a compelling case, negotiating with third parties, and, if necessary, taking your case to court. A motorcycle rear ended can result in life-altering consequences. Protect your safety by following best practices for riding; if an accident does occur, protect your rights by contacting our expert team.